Trigger Warning: This resource contains sensitive content. Please review thoroughly to determine if this is right for your individual classroom. Summary: On Friday, 50 people were killed and another 50 wounded in shootings at two mosques in Christchurch, New Zealand, in the deadliest attack in the country’s history. Christchurch, New Zealand’s second-largest city, was the site of horrific carnage, as a gunman stormed the two Islamic places of worship during Friday prayers. Police arrested the alleged shooter who cited white nationalism and other mass killings as inspiration. 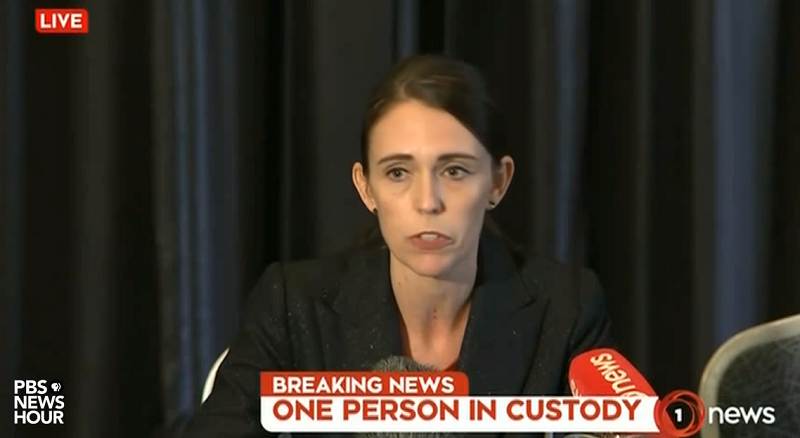 New Zealand Prime Minister Jacinda Ardern called the shooting one of the country’s “darkest days.” Arden said the perpetrator was a licensed gun owner who had legally acquired the five guns. She said the country’s national gun laws will change but did not add specifics. 1. Essential question: Why do events like the mosque shootings in Christchurch, New Zealand continue to happen in the world today? 2. What do you know about the terms white nationalism, Islamophobia and violent extremism? White nationalism: Here is some background on white nationalism from the Southern Poverty Law Center: “Adherents of white nationalist groups believe that white identity should be the organizing principle of the countries that make up Western civilization. White nationalists advocate for policies to reverse changing demographics and the loss of an absolute, white majority. Ending non-white immigration, both legal and illegal, is frequently elevated over other racist projects, such as ending multiculturalism and miscegenation.” To learn more, scroll down to the “Background” section. Why might it be important to learn about these terms and how they have played a role in U.S. and world history? Islamophobia: Students often look for ways to change the world for the better. Read this article in The Conversation to let students know the good work that is underway to combat Islamophobia. One thing to note: According to various governmental and nongovernmental organizations, including the Brennan Center for Justice, efforts aimed at Countering Violent Extremism (CVE) have existed for some time, often with dubious outcomes. The Center states, “And while purportedly aimed at rooting out all violent extremism, they [CVE] have previously focused only on Muslims, stigmatizing them as a suspect community.” Check out Brennan Center’s resource page designed for journalists, policy-makers, and the members of the public information about CVE programs to learn more. 3. In recent years, racist, Islamophobic and other discriminatory acts have been on the rise in schools and universities. If time allows, take a look at NewsHour’s article “How teachers are trying to stop the spread of hate” to learn more. How should schools teach about violent extremism? What are the roles that classes like social studies and English can play in teaching about civil rights and discrimination? Do you think schools should take more time to discuss current events and address Islamophobia and movements like white nationalism? Why or why not? 4. What should you do if you feel uncomfortable or worried about the events in Christchurch, New Zealand? Who could you talk with at your school or at home? Ask your teacher if you are not sure. 5. Prior to the shootings, the man charged with murder in the New Zealand attacks quoted a list of white nationalists who inspired him and also referenced President Donald Trump. The White House immediately denounced the connection. Why does the reaction of the president of the United States to the events in New Zealand matter to so many people? How has President Trump responded so far? How do you think the President should respond to the shootings in New Zealand? 6. Media literacy: The news media play a significant role in how mass shootings are covered and discussed. Most news organizations choose not to use the shooter’s name or use it as little as possible, so as to not bring any more attention to the individual as needed. Watch NewsHour’s short segment, “The role of media and technology after terror attacks.” The gunman accused of the killings in New Zealand live-streamed the attack, emailed his manifesto to media outlets and shared his racist and hateful messages online. Two experts discuss changing technology and the media’s role and responsibilities with NewsHour’s Hari Sreenivsan. Why is it important for media not to amplify messages of white nationalism as they cover events like Christchurch? Read the following exchange and answer the question. Hari Sreenivasan to Harvard University’s Joan Donovan: “I’ve also seen some critique last night saying, hey, you know what if this was a Muslim shooter and if he or she had put out a manifesto like this, the FBI and everyone else would go through every single paragraph, look at every possible inspiration whether it’s a video game, it’s a person, it’s a politician and lay the blame squarely at their feet. Are we giving this instance some sort of a double standard? Joan Donovan: “I don’t think so. I’ve seen a lot of people trying to hold the language used by the Trump administration accountable for the way in which people are starting to understand Islamophobia, anti-Semitism as well is you know this word ‘invasion’ has come up more than a few times. Do you think the shooting is being treated by journalists differently because the alleged shooter was white and not Muslim or a person of color? How could you research more about this topic? Where would you look? Nour Issa’s Muslim faith and choice to wear the hijab set her apart from many of her peers, but she’s still just a regular Georgia middle school student. “There’s nothing different about her,” says her friend, “I just think of her as Nour Issa, not Nour Issa the Muslim.” How could you show support for classmates and those in your community who may wear the hijab? 3. How might empathy end up playing an important role in learning about the events in New Zealand? To learn more about ways to build empathy in your school or community, try this PBS interactive lesson: Design Apps That Help Others and Build Empathy.